Ask a watchmaker, any watchmaker, and they will tell you that oiling a watch is a precise business. Too little and you create extra wear and tear, too much and it will overflow and be drawn away from the bearings. Yet there is a watch that uses a lot of oil, and with a lot I mean 35.2 ml. However, only a fraction of this oil is used to lubricate the movement, on the rest, the dial is quite literally floating. 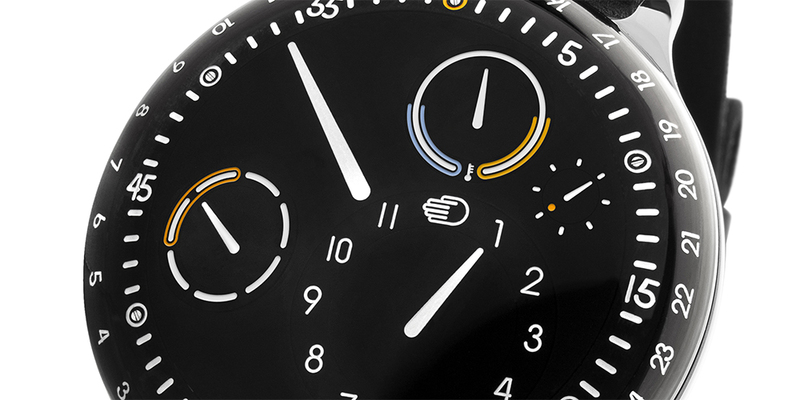 The watch in question is the new Ressence Type 3; a watch unlike any other watch. A watch without hands, that relies on convex discs floating in oil to display the different functions of the watch. Because there is no light refraction between the dial and the anti-reflective sapphire crystal, does it appear that the discs are placed directly against the glass. To keep the watch lightweight and antimagnetic, all the components, excluding the gears, are crafted from grade 5 titanium. This material is also used for the 44mm case of the watch, counting up to a total weight of only 75 grams for the watch. A Ressence comes without a crown, but has a system that is slightly reminiscent of that of the old Harwood watches. Slightly, because Ressence take on it is far more advanced and compares to the Harwood system like the Wright Flyer to the Enterprise. By turning the back of the watch in different ways, not only can the watch be wound but different functions can be set. By making this gearing system gravitational, they simply disengage when the watch is turned over again, with the dial side up. Pure simplicity and elegance. 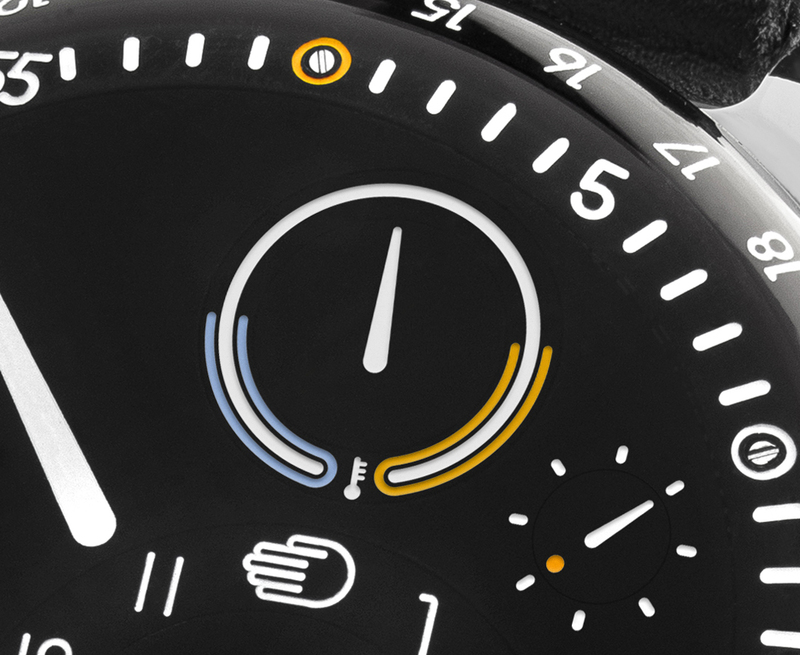 The true innovation with the new Ressence is the thermometer integrated on the dial. Many of you will be familiar with the fact that oil should not be either too cold or too hot, in order to perform its function correctly. The same goes for the oil used at the dial side of the watch. Inside the watch a 0.5mm bi-¬metal spiral is mounted 0.1 mm under the discs, where it measures the oils temperature with a range from ‐5 degrees to +55 degrees Celsius. As with any Ressence, is also the thermometer displayed in intuitive symbols on the dial side. 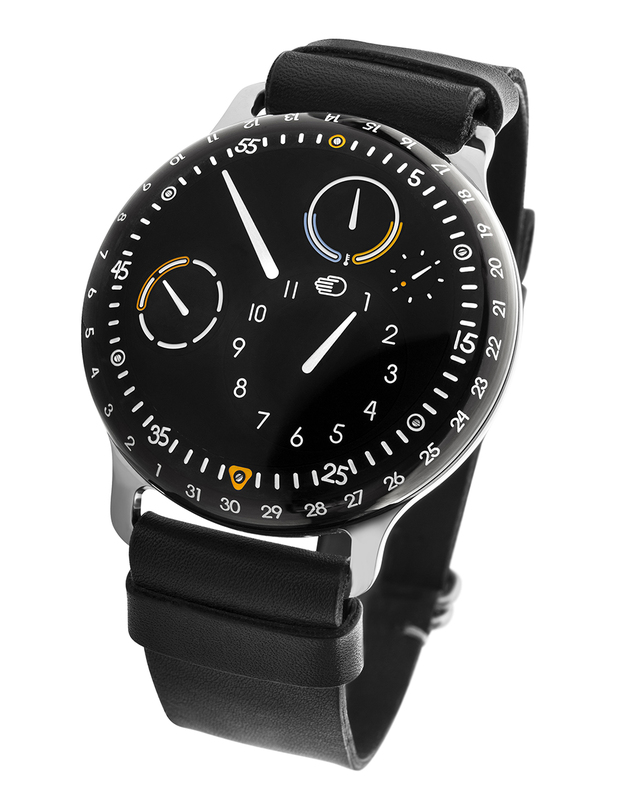 Summed up we can only conclude that the new Type 3 by Ressence is simply more amazing forward thinking.